Last week, we reported that highly-regard Kimball Union Academy forward Nick Roberto was being recruited by BU after decommitting from Maine. The 5-9, 170 lb., right-shot forward, who earned 2012-13 USHR Prep Forward of the Year honors, visited BU on Thursday and now has committed to BU for the 2013 season. 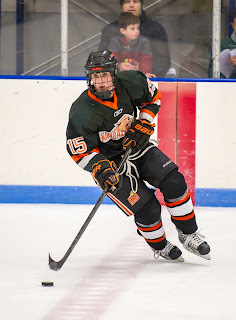 Transferring to KUA as a junior, he had a 14-15-29 scoring line in 29 games. In the 2012 Simmons/Piatelli NEPSIHA Championship game, Roberto scored the overtime game-winner that gave KUA a 3-2 victory and a record-setting 27th win. Along with Roberto and Somerby, a third BU recruit, defenseman Jonathan MacLeod, now with the NTDP U17s, was on the title-winning Wildcat team. A gritty forward with speed and a strong shot, Roberto’s offensive game blossomed further this past season when he led the Wildcats in goal-scoring en route to a 28-3-0 record and the top position in the New England prep polls nearly all season long. 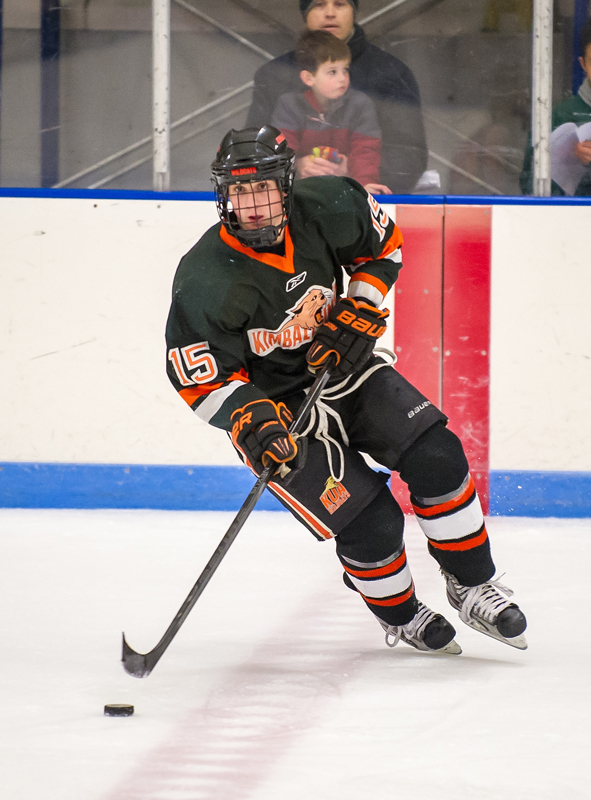 Scoring 23 goals and 25 assists in 29 games, Roberto skated on KUA’s top line with BC recruit JD Dudek and UMass recruit Casey Miller, whose father, Paul Miller, played for BU’s 1978 national champions. Roberto, who also visited New Hampshire and Providence College, becomes either the fifth or sixth forward in the 2013 recruit class, depending upon whether St. Sebastian's center Tommy Kelley comes next season or in 2014. He joins Collier, 2011 USHR Prep Forward of the Year Robbie Baillargeon, Kevin Duane and Jarrid Privitera. The Sporting News talked with Kevin Shattenkirk about his progress as an NHL blueliner, especially in the defensive zone. New England Hockey Journal tracks Charlie Coyle’s path from Thayer Academy to BU and now to the NHL, where he’s scored eight goals and six assists in 37 games with Minnesota and has earned a spot on the Wild’s top line. The South Bend Tribune spoke with Jack Parker and former BU All-American goalie and 1980 Olympic gold medal winner Jim Craig about his recruitment to BU in the late 70s. Craig, also a member of the 1978 BU NCAA title team, was in South Bend for a fundraiser.